Jenga could be considered real-world Tetris and this current Nintendo DS version is based on the world famous wooden block tower building game. 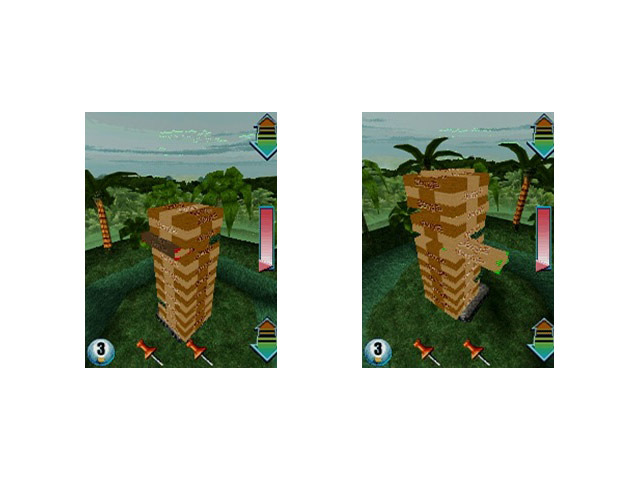 Featuring an innovative control system that can only be found on the Nintendo DS, this console version features all the thrills and excitement of the real world game as you attempt to build the tallest tower without it toppling down and best of all, Jenga World Tour allows for a 4-player party extravaganza! Players feel a real sense of tension thanks to the DS stylus: select a block, push it, pull, tap or twist it! There’s a wide variety of game modes for short or long challenges. Experience single and multiplayer fun offline and online, including reality-defying modes: glue the blocks, unleash the little monkey, etc. So how does Jenga play on the Nintendo DS, considering it's a real-world game of skill? The answer is quite well, thanks for the Nintendo DS stylus that allows you manipulate the Jenga tower with the stylus as you can perform almost all the real techniques as you manipulate the block. 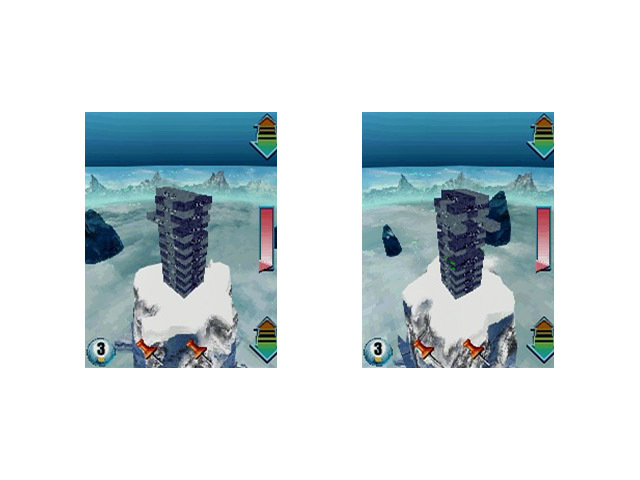 Needless to say, it can be quite tricky, especially when your tower starts to become outrageously high. The developers also take the idea of Jenga beyond the original idea by allowing both single player and multiplayer gaming modes thanks to the consoles wireless capabilities. To keep the game fresh and unique, the title also features a variety of different types of blocks and powerups to either assist the player or hamper their opponents. We also tested the title with 2 Nintendo DS consoles which worked perfectly wirelessly and could become quite a heated game, depending on the players patience and skill level. There are also a variety of different gaming modes, ensuring longevity and entertainment. 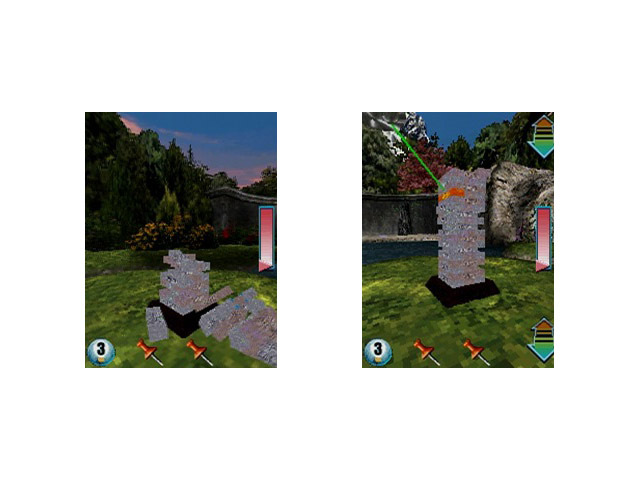 Graphically, Jenga on the DS is rather pixellated and appears dated on this console with some lacklustre background environments and quite plain looking blocks. The special effects are rather decent and match that with some repetative sound effects and an interesting musical "Jenga" score and the title is a little mediocre at the best of times, that is, graphically and musically. In conclusion, Jenga World Tour is a fun title on the Nintendo DS that is actually quite playable on the console that features innovative gameplay and in general a good yet frustratingly annoying time which is elt down by mediocre graphics and repetitive sound effects. Definitely one for lovers of puzzles!